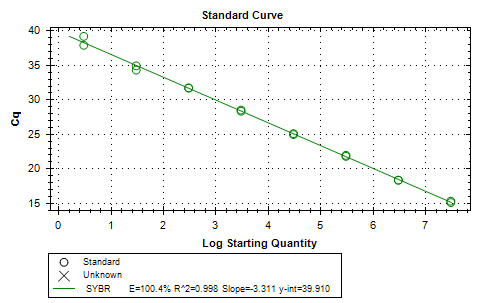 Ran limit of detection qPCR for the Promega 2x GoTaq Probe Master Mix using p18RK7 (from 20120730) primary curve and p18RK7 low curve (from 20140507). Cycling params, plate layout, etc. 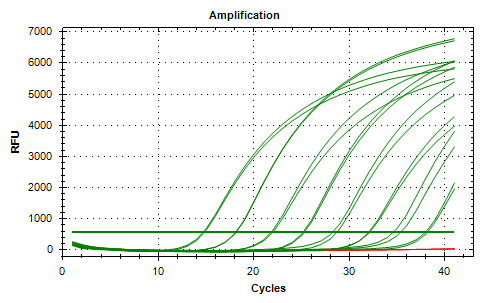 can be found in the qPCR Report in the Results below. 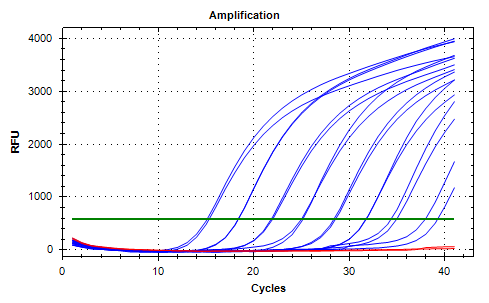 Ran limit of detection qPCR for the Promega 2x GoTaq Probe Master Mix using p18RK7 (from 20120731) primary curve and p18RK7 low curve (from 20140507). NOTE: Well B6 is an outlier. 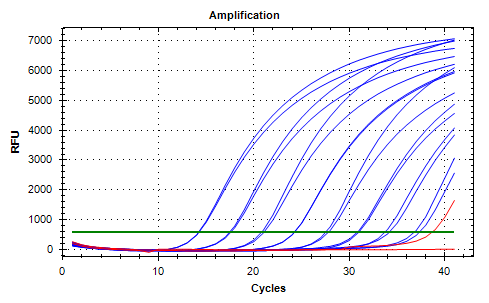 Without that sample, the R^2 changes from 0.977 to 0.990. The Cq value for this sample has been highlighted in its entry on the Promega Master Mix Withering Syndrome Limit of Detection spreadsheet. I needed additional dilutions for a low curve to finish validating the Promega 2x GoTaq Probe Master Mix limit of detection. Will test the low curve before continuing the full limit of detection process. 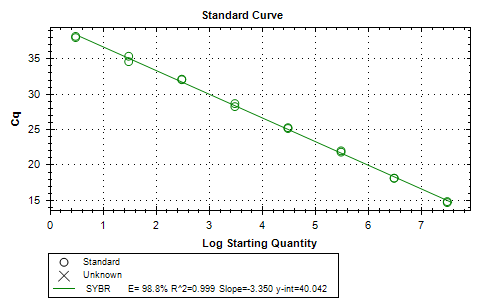 New low curve looks good. Will use this for subsequent limit of detection tests. Now that we’ve decided to go with the Promega master mix, we need to re-do the limit of detection to validate the assay, as far as sensitivity goes.